It's been a moment but I'm back in the space. In San Francisco, the spring days have been bright and the parks are all effervescent with this puffy white charlock that reminds me of the poppy fields of Oz. The time I've spent outside in the last few weeks has loosened some gears inside my creative mind and I'm hoping to share here more regularly in the future. Now or never? Might as well be now. I thought spring would be a good place to start or ...restart. Birds are such a signal of spring to me and even living in the city, with a fire escape outside my window, I am thrilled to be visited by the occasional feathered friend. Perhaps this piece would encourage them. This bird feeder designed by American Vasse Vaught, is made in Blue Ridge Mountains of Virginia, close to where I have spent a good amount of my early life. The sculptural overhang "shelters birds and seeds from the elements." Through the seasons and over several years this piece, made from 16oz copper, will begin to patina becoming more and more concealed and quiet and natural looking in your landscape. 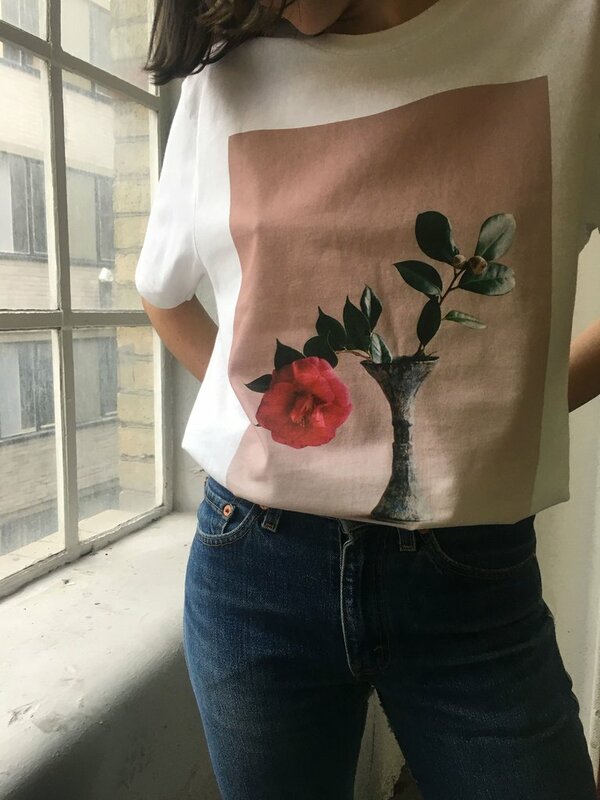 The Pleasure Garden Camelia T-shirt is a collaboration with Fjura (which means flower), an Australian floral installation artist living in London. The image is a photograph by Jo Metson Scott from "Winter Flowers", a story in The Pleasure Garden's Magazine Issue 02. This season, I want to wear the most comfortable clothes. Jeans and t-shirts mainly. The patch-worked denim pieces from the B Sides x Bode collaboration (the unisex denim line and cult vintage retailer, Where I was From) are made with 1970s vintage Levi's patched from antique American quilts and seem to whisper to me ~ spend the spring season southside with Alabama Chanin... The 501 style in general I'm feeling these days. A classic American cut with a natural sexiness that is not super body conscious. Made-to-order, with a 2-3 week lead time, this is an investment item for an eclectic wardrobe, which I believe is the best kind. Also, a great option for men. 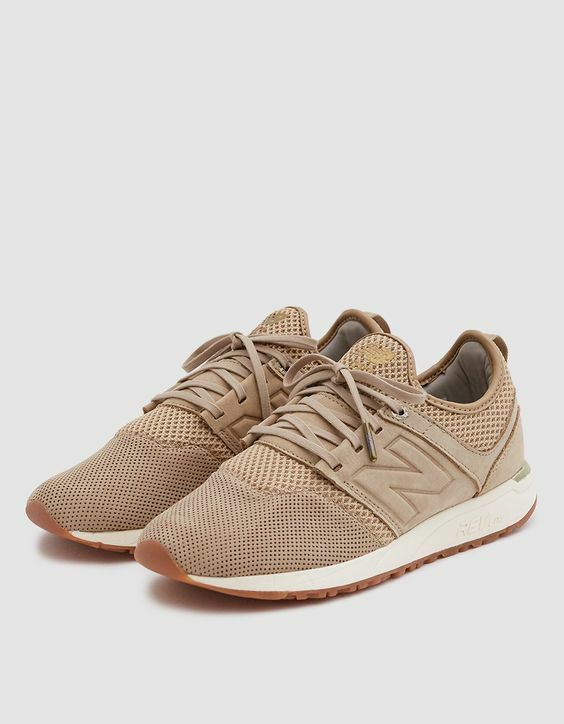 Neutral accessories with pops of neon are kind of a Nora Sibley thing - these sneakers from New Balance (I know, I know) are just so wildly pleasing to me for the season we are in- especially if worn with a seemingly effortless but unexpected make-up look. Neon eyeliner and fresh, glowy skin feels coquettish and young with a little punk-ish attitude. This story from Into The Gloss of Sil Bruinsma's work is exactly what I'm talking about. I am very close to joining the one or mismatched earring wearing tribe of fabulous women I see about town and this Balance Ladyday Earring from Faris may be the one to break the seal. I pine for you. The Spanish designer, Andres Gallardo, hand makes porcelain forms in his Madrid studio using bones, and cherries and...even greyhounds as inspiration! 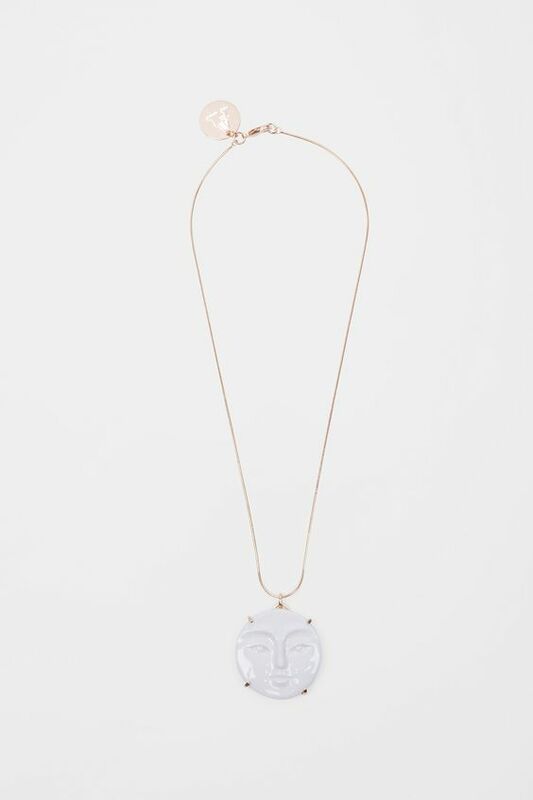 This quiet Little Moon pendant would be the quintessential addition to the perfectly fitting, white t-shirt and jeans look of my dreams.